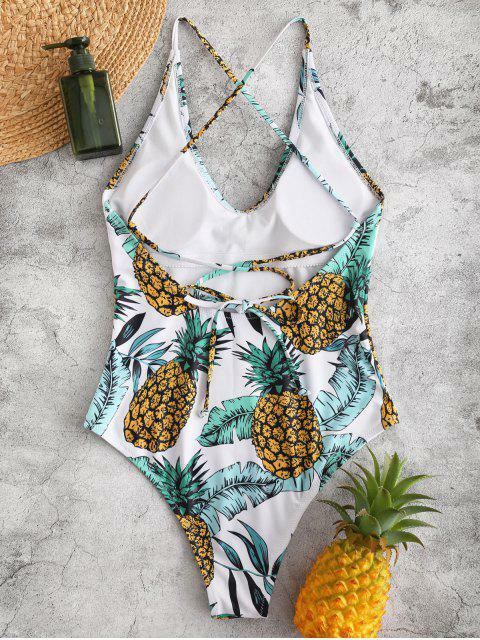 [16% OFF] 2019 ZAFUL Pineapple Leaf Criss Cross Swimsuit In WHITE | ZAFUL .. 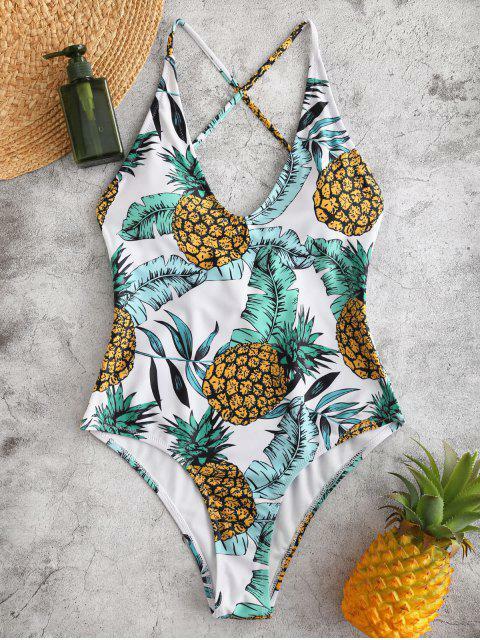 Covered in a tropical-toned pineapple and palm leaf pattern, the one-piece features adjustable crossover straps at the back for a customized fit. 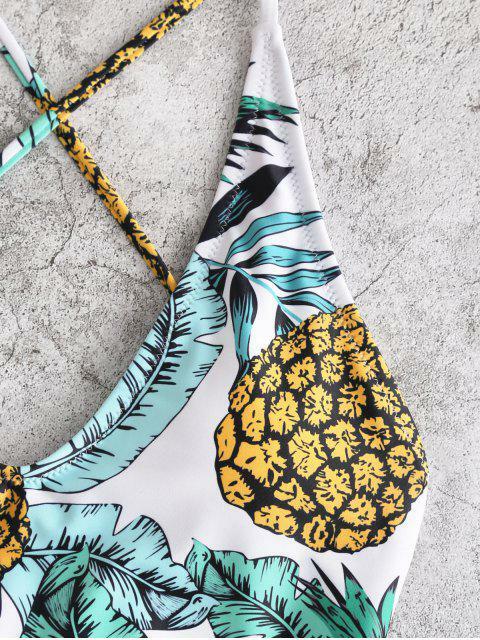 Complete your beachside look with an oversized broad-brimmed hat and wedge sandals.